Does a security camera need Internet? That’s what we’ve discussed in our prior post. And the short answer is: NOT necessarily. For the Internet security cameras that rely on the WiFi network (wireless Internet security cameras) or Ethernet cables (wired Internet security cameras) for video signal transmission, they can still record videos onsite without Internet connection. But note that Internet access is required when you need to access these security cameras remotely, receive instant alerts and upload videos to FTP server or Cloud. If you want a security camera that doesn’t require Internet, the cellular security cameras would be the best bet, which operate independently on the 3G/4G mobile network. Today, you’ll get all our inside details on the security cameras with or without Internet, including, but not limited to the best Internet security cameras for home, how to set up Internet security cameras, and more you wish to know. We tested multiple Internet security cameras for sale and here picked up two best options based on their performance, features and affordability. These recommended Internet home security cameras below can direct to your mobile phones when motion is detected, and allow for easy security camera streaming over Internet from anywhere. Reolink Argus® 2 is featured on a series of top-tier media, including PC Mag, CNET, Techhive, Tom's Guide, Zdnet, Techadvisor, Techradar, Makeuseof, etc. Let’s start by letting the wireless Internet security camera Reolink Argus® 2 speak for itself: one out-standing highlight is the 100% wire-free design that underscores its easy installation. With the 1080p full HD and color night vision, this security camera with Internet access can deliver clear and sharp live viewing no matter where you are. Below is a video shared by a real user of the Internet based security camera Reolink Argus® 2. 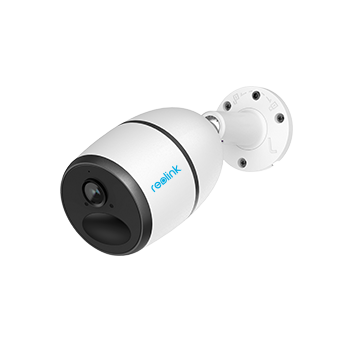 Reolink RLC-410 is one of the best seller among Internet security cameras, in virtue of its commercial-grade quality and budget-friendly price. With its industry-leading performance and budget-friendly price, this Internet security camera with audio Reolink RLC-410 is the best bet for your home, suitable for both indoor and outdoor surveillance. Watch the video below captured by this Internet connected security camera Reolink RLC-410. Actually, the remote security cameras with no Internet are needed in many scenarios, such as your barns, farms, boats, vacation home, construction sites, shed, cabins, etc. 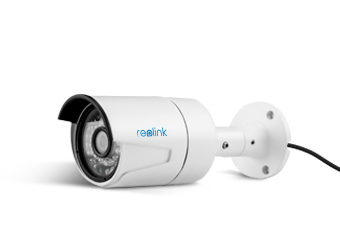 Reolink Go, is one of the top rated security cameras that don’t require Internet. 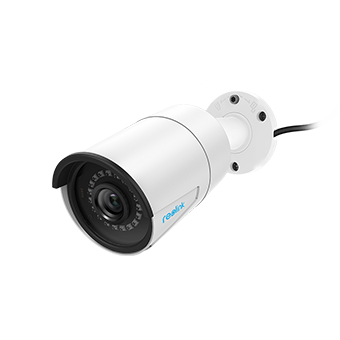 With a separate mobile service plan, this security camera can work perfectly without Internet or WiFi, allowing to remotely view live feed anywhere and anytime. Below is a video captured by the remote security camera Reolink Go (shared by Jens on his Youtube channel). If the Internet security cameras for your home support P2P technology, the process can be much easier with the camera seller’s customized software. 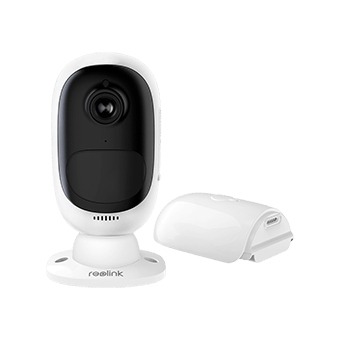 Taking the Internet enabled security camera Reolink RLC-410 for example, below are the step-by-step guide about how to set up the Internet security cameras. Step 1: Make sure your Internet accessible home security camera is powered on. Step 2: Download the customized Internet security camera software (Reolink App or Client) on your phone or computer. 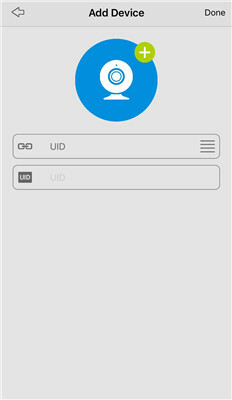 Step 3: Launch the app or Client, and then enter the UID and password of your wired or wireless Internet security camera. Step 4: Now you can watch the security camera streaming over Internet. 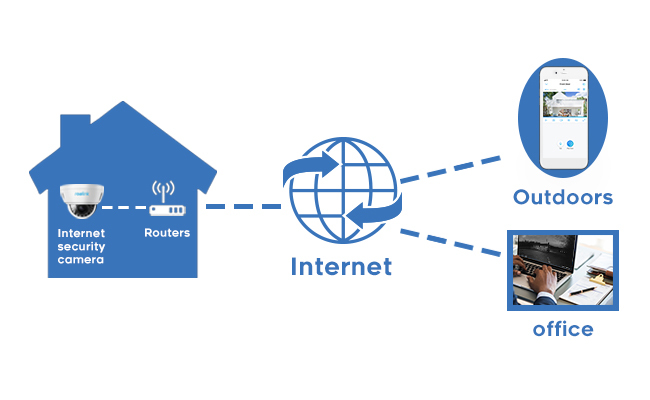 In case your Internet security camera systems don’t support P2P, or you want to access security cameras over Internet on a web browser, watch the video below or see our guide on how to set up Internet security camera for remote viewing via port forwarding. Below are the simple steps to set up an Internet security camera via Port forwarding. Step 1: Find the IP address of your Internet connected security camera. Step 2: Get the WAN/external IP address of your router here. Step 3: Check the port number of your Internet based security camera and forward ports to the router. Step 4: Enter the URL address on the web browser in the format of WAN IP Address: HTTP port. Below we’ve collected some hot questions concerning Internet security cameras. Hopefully, these would help clear up some of your confusion about Internet security camera monitoring. 1. How Much Internet Does a Security Camera Use? What’s the Internet Speed Needed for Security Cameras? Many of you may worry that the Internet security cameras for home will eat up too much bandwidth and affect the home network speed. The security cameras with Internet access won’t consume the bandwidth of your home network unless you access the cameras for live viewing or the cameras send you alerts when motion is detected. And you can also adopt some effective tips here to reduce the bandwidth usage of your indoor and outdoor Internet security cameras. 2. Are Wired & Wireless Internet Security Cameras Secure When You Stream Live Feed Online? You must have read related reports about the flaw in some Internet security cameras that allow unauthorized users to access the live feed. But not all the Internet security cameras for home are unsecure. Some top-rated Internet based security camera brands, like Reolink, secures its IP cameras by enabling multi-level security settings, including SSL encryption, WPA2-AES encryption, and SSL-TLS enabled to prevent prying eyes. So you can set your mind at rest while accessing the Internet home security camera systems on your phones or computers. 3. If I Turn off the Internet, Will My Wireless Internet Security Cameras Still Work? As I have mentioned at the beginning of this post, your wireless security cameras with no Internet can not send you instant alerts or stream live feed remotely. But they are still able to record motion detection events onboard if they come with a micro SD card (slot). In case you need a security camera that doesn’t require Internet, go for the 4G security cameras for remote surveillance. For any more problems about the Internet security cameras, such as the Internet security camera installation, please let me know down below in the comments! This entry was posted in Buyer's Guide and tagged no Internet cameras, security cameras over Internet, set-up steps, stream live feed online.